ATOMGA is building an empire for fevered, afrobeat-influenced dance parties. However, staging sweaty dance parties is not ATOMGA’s only intention. Consciousness is something this 11-piece afrofunk collective takes very seriously. 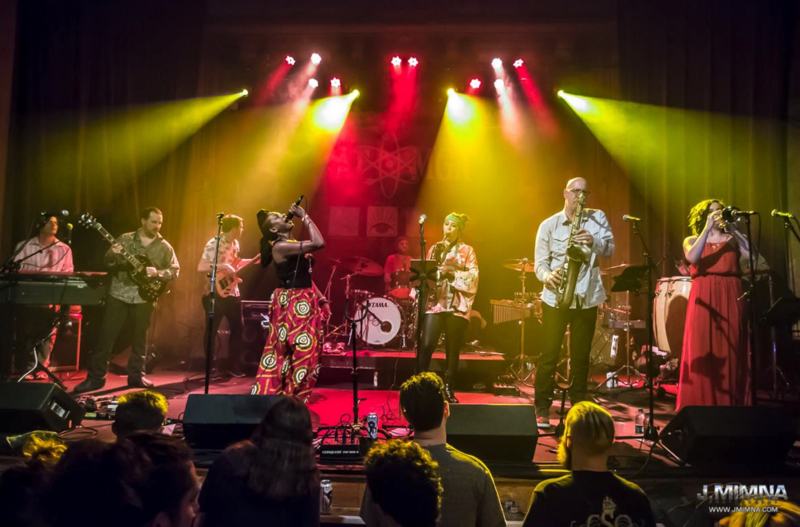 Since their inception in 2011, they have meticulously studied the hypnotic grooves and lyrical prowess of afrobeat’s forefathers in order to maintain musical integrity and positively contribute to afrobeat in a modern setting. ATOMGA’s music encourages their listeners to wake up and grasp life with awareness as they humbly tackle socially conscious topics such as human rights; corporate greed; environmental advocacy; government oppression and last, but not least, the need for more love in this world. With an unyielding drive stronger than ever, ATOMGA plans to release a follow-up album later in the year and continue taking the region by storm as this project always pursues to connect your mind, body and soul.